Flat Panel / Sieve Bend — Federal Screen Products Inc.
Federal Screen flat and sieve panels are dependable, strong and effective due to wire and slot size selection which is determined by the application. Additional support structure can be offered depending of system requirements. Sieve Bend Screens consist of a concave curved profile wire screen mounted in a frame with the screen openings perpendicular to the flow, also referred to as DSM Screens. Wedge wire is well suited for high capacity filtration, which a curved screen has greater capacity than a flat screen due to forces exerted as material flows against the curved surface. Simplified in design, the way these screens work is by the unwanted material flowing over the inclined screen surface. A layer of unwanted material builds up and slides down into a bin or waste basket. 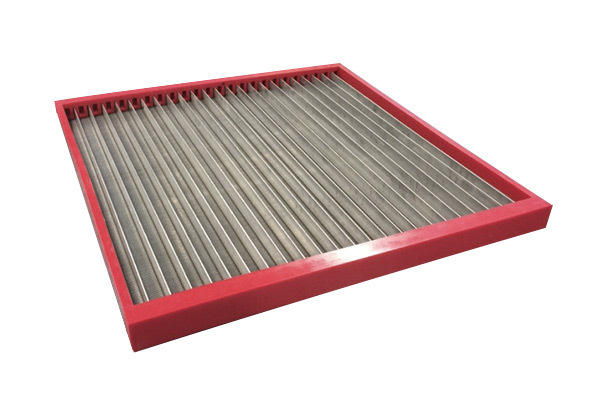 Sieve bend screens are mainly used in dewatering, applications that require liquid/solid separation. Some of these industries include coal mining & quarrying, sugar & mineral processing, pulp & paper, cement manufacturing, fruit and vegetable wastewater processing etc. Federal Screen not only offers the screen itself but can design the housing to suit the screens offering the complete package. Flat Panel Screens have also been utilized in variety of applications. Federal Screen offers different combinations in wrap and support wires and custom frame designs to suit many applications. The design in most cases offers a simple, economical benefit by reducing the physical size and also the screen weight. Most screen panels have greater open area due to the wedge wire therefore can be less in size. Other features include low headroom, energy efficiency that being the panels operates with no moving parts and with no energy input. Can be custom made and designed for applications in a wide range of industries. Sieve bend provides greater capacity than flat wedge screens due to increased gravitational forces on material flowing against the curve. Wide range of profiled wire are available to suit most applications. High-precision slot sizes are available to meet customer's requirements. Screens can be replaced easily reducing down time. Requires Adobe Acrobat for 3D functionality. If the display screen is blank after clicking the download button, on the top right menu bar, hit “download”. Once we receive your request we will contact you within 48 hours. 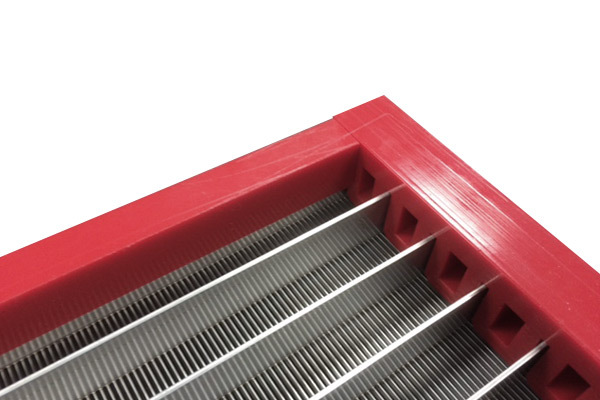 Our Sieve Bend Screens screens are dependable, strong and effective due to wire and slot size selection which is determined by the application. Sieve Bend Screens consist of a concave curved profile wire screen mounted in a frame with the screen openings perpendicular to the flow, also referred to as DSM Screens. Our Flat panel screens are dependable, strong and effective due to wire and slot size selection which is determined by the application. We specialize in custom manufacturing. Our sales, engineering and production teams have the experience to manufacture what you need to the highest degree of excellence. Keeping all work in house allows us to offer accuracy and consistency.